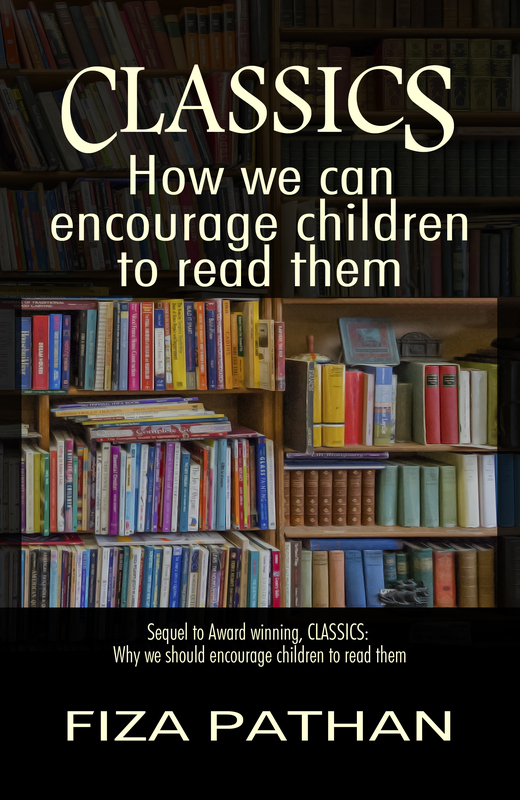 This book is a sequel to the previous volume in this series, the award-winning Classics: Why We Should Encourage Children to Read Them. In this installment, Pathan explores various techniques that can encourage children to read classic works of literature, and she makes it a fun task for the student instead of being a chore. Pathan describes a multitude of techniques and methods that she developed in the course of her teaching career in her native India that could be used to interest young children in reading classics. One of the many techniques discussed in detail is the Compare Old with the New Method, where the students in Pathan’s classroom are assigned a modern fiction book along with a classic to read in a course of a month. Pathan then has the student compare the two and find similarities and differences. Another example is the Library Period Method, where her students are encouraged to read classics while in the library. Last but not least, she also matches the specific classic with a student and his/her specific tastes, for example, she recommends The Invisible Man by H.G. Wells to a pupil who loves science fiction. So many of the classics are being taken off school reading lists and the only way many children will ever hear the stories are through the often inaccurate or poor adaptations that make it to screen. It is a crying shame as so much can be learned from them.